And… is this the greatest thing I’ve ever eaten? I’m carrying over a bit of a theme from Friday here, and writing about a place I visited a short while ago on my trip to the United States. 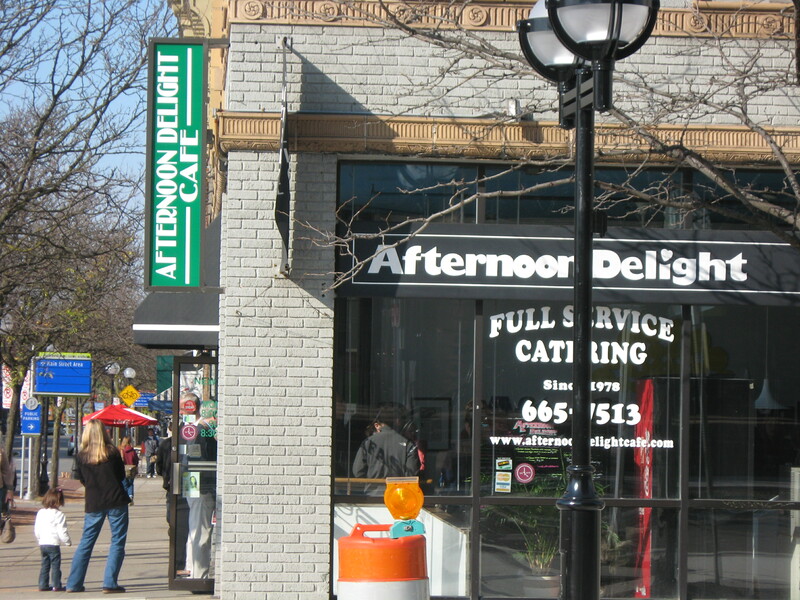 We spent a couple of days in Ann Arbor, MI, home of the University of Michigan, and we were lucky enough to be taken by our friends to the best place in town for breakfast, Afternoon Delight. The meal I had was certainly more appetising than it looks, and is a serious contender for the titles of “Most Ridiculous Meal I Have Ever Eaten” and “The Dish I’d Have Before I Die, Probably Through A Butter-Induced Heart Attack”. 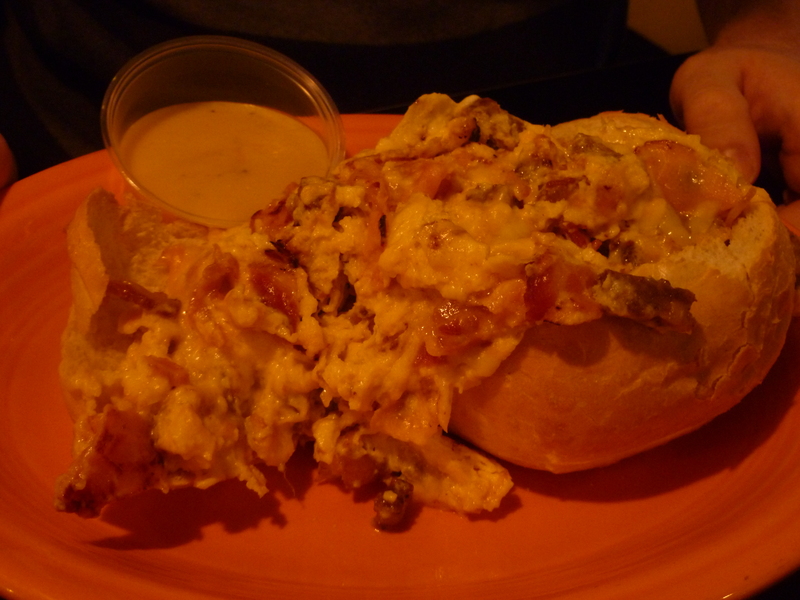 The picture above is of the Meat Boule from the breakfast menu. Prepare yourself for the following list of ingredients: ham, bacon, sausage (gotta have three types of the same meat), Swiss, mozzarella and cheddar cheeses, all mixed with scrambled eggs and drizzled with butter, and served in a giant hollowed-out bread bun, with a butter sauce on the side. I can feel my veins clogging up just thinking about it. The mixture, as you can probably tell, was absolutely delicious. Stunningly bad for me, yes, but I ate it in one go and fulfilled several life goals in the process (namely to eat a meal that weighs more than my head). My friend Dan also ordered one, but sensibly took half home for lunch. Now, the cafe itself is stupidly popular. We were lucky that we didn’t have to queue for an hour because we were there so early, but we passed the place several times throughout the day afterwards and the queue was almost down the block (the picture was taken late in the afternoon, and they were still out the door). I know that British people have a reputation for being the best queuers in the world, but I don’t think we’re as good when there isn’t a moan at the end of the line. The staff, despite being rushed off their feet, where polite and helpful (still a novelty for a Brit travelling abroad) and the selection of food is second to none. You can check out the breakfast menu here, and you’ll see what I mean. Congratulations, Ann Arbor, on being home to my favourite cafe in the world.